Well, it happens. No matter how much you baby them, your prized possession always suffers a few bumps and bruises. This guitar was no exception – the victim of an overly enthusiastic pooch; this Fender acoustic tumbled onto the floor from it’s stand with a thud. The result? The neck separated at its weakest point. In this case it parted along a splice mid-way down the neck. Usually these types of breaks happen higher up on the neck, closer to the headstock – a common problem with necks made from a single piece of wood. That’s because the weakest point is the area where the headstock angles back – a cut in the wood that changes the direction of the grain making it quite vulnerable under tension. But with this guitar’s two piece neck, the bond let go between the two pieces. Headstock breaks are fairly common and effect guitars at every price point. Depending on the type of strings on your guitar, there is usually around 180 psi of pressure on your guitar, and sometimes it only takes a little bump in the right spot for a neck to split, crack or break completely. With all repairs, the first priority should be to restore the structural integrity of the instrument so it functions as originally intended. Luckily, this was a clean break and the two pieces went together cleanly. With messy breaks, sometimes wood splinters may need to be removed to ensure a good tight fit. Always dry fit fist to make sure this is the case before gluing and clamping. I decided to use hot hide glue for this repair and I used a pipette to inject glue deep into the crack that I was able to open slightly by applying moderate string tension. Being careful to avoid the truss rod, I was able to direct the glue right where I wanted it. The nice thing about hide glue is that it gives you a but of time to get your clamps and the cleanup is a snap with warm water. After 24 hours of drying time, the clamps were removed and the guitar was restrung and tuned to pitch. The repair was stable, so I was able to move on to refinishing. I considered using a tinted lacquer to make the splice completely invisible, but decided to touchup the break where needed and clear coat after a discussion with the owner. After sanding and buffing, the repair is complete and as good as new. Choosing the right type of strings for your acoustic guitar can almost make or break the sound and playability of your guitar. It’s important that you select the right type of string, but with so many options, it can be hard to know what type of strings to get for your guitar. Here are some important things to keep in mind that can help you with selecting strings for your guitar. For now, we’ll just look at choosing steel strings for the acoustic guitar. I’ll also give some recommendations of specific types of strings to try out. What Type Of Acoustic Guitar Do You Have? The body style of your acoustic guitar should play a role in what type of strings you choose. The most popular body styles are dreadnought and grand auditorium. Think of ‘body style’ as the shape of your guitar. The guitar on the left has a dreadnought body style and the guitar on the right has agrand auditorium body style. Different string sizes, or the gauge of the string, will suit different body styles. Usually, medium gauge strings will most suit dreadnought guitars, while light gauge strings will most suit grand auditorium guitars. Often dreadnought guitars are built and designed to be played with medium gauge strings. The same is often true for grand auditorium guitars: they are build and designed to be played with light gauge strings. Something important to keep in mind about the gauge of the strings is that higher gauge strings like mediums will put more tension on the guitar neck than lights. Again, dreadnought guitars are built to handle this tension, but on the flip side, grand auditorium guitars are often not built to be played with medium guitar strings! I’ve put medium guitar strings on my grand auditorium guitar once and it wasn’t good news. Because of the added tension, the neck ended up moving and the action of my guitar got really high! What is Your Playing Style? Think about the types of songs you play. Are you more of a fingerpicker or a heavy-handed strummer? Choosing the best acoustic guitar strings can depend on the type of music you play. Often times, fingerpickers will be more prone to light strings. Light strings are easier to play than medium strings. This is why if you are first beginning guitar you might want to use light strings. If you are doing more strumming, medium strings are good for it. But again, medium strings can be a little harder on the fingers, so it won’t be uncommon to use light strings even if the majority of the music you play involves strumming. Some people find that they want the best of both worlds and will get light-medium strings. With light-medium strings, the bottom three strings are light gauge strings, and the top three strings are medium gauge strings. This can be good if you are doing both fingerpicking and strumming. Some people like this, others don’t. What Sort Of ‘Sound’ Do You Want? This also kind of involves looking at the types of songs you play. Often medium strings will have a deeper and bolder sound than light strings. Medium strings tend to really bring out more bass. On the flip-side though, light strings can accent more of the highs and be brighter in sound. This is also why medium strings tend to work really well on dreadnought guitars. The shape of dreadnought guitars is much wider than the grand auditorium body style. Naturally, dreadnought guitars bring out more bass. If you throw some medium strings on it, that deep bass and booming sound will really come out from your dreadnought. I’ve used Elixir strings for many years now and they’ve been very faithful to me. The good thing about Elixir strings is that they sound good and hold up for a long time. A lot of strings get dead after a week of playing them, but I could go a couple months of playing my Elixir strings before I had to change them. They are a bit more expensive than other strings (I recommend getting them online), but because they last so long, you don’t end up spending more money in the long run. Elixir makes both light and mediumgauge strings. Someone recommended these strings to me a year ago. I was thrilled with the sound of them when I tried them. A great thing about them is that they are dirt cheap compared to say Elixir strings. The only downside with them is that they don’t last as long as Elixir strings. But I’ll tell you what, they sound great. You can get John Pearse strings in both light and medium. 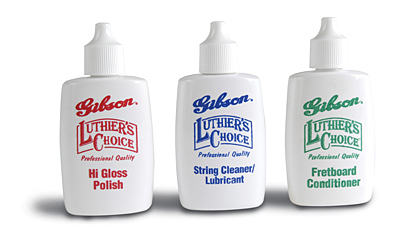 What types of strings do you use on your guitar? There are so many different options when it comes to choosing strings. Sometimes it’s just a matter of experimenting and trying different strings. 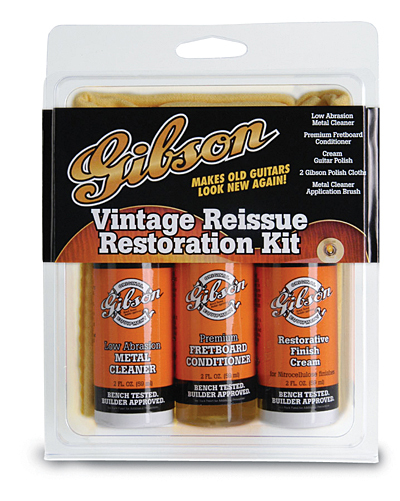 What types of strings have you found to work on your guitar?